Is it the best-kept secret for today’s small business? With the steady growth and expansion of Minnesota’s small business community, 21st Century Bank (“21st”) is proud to be #1 Third Party Lender Originator – of SBA 504 loans in the State of Minnesota for FY18*. 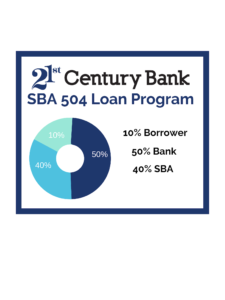 “The key thing to understand about the SBA 504 product is that any bank can be a partner in originating a loan under the program; however, given that it is a specialty product, not all banks are comfortable working with the product. This usually either leads to the product not being offered to a prospective customer or the road to the closing of the loan involves stress and time delays. 21st takes great pride in the results that it consistently has in the SBA 504 origination space. These results are directly related to SBA 504 product knowledge; experience working with the product; and the strength of the partnerships it possesses,” said Jonathan Dolphin, President, 21st Century Bank. The SBA 504 Loan Program is a great program for any business to finance the purchase of real estate that they are going to Owner Occupy. The general benefits over Conventional bank financing are 10 % down payment vs. 20-25 %; 25 year amortizations vs. 20 year amortizations; and 40 % of the project that is financed by the SBA is fixed for 25 years vs. 5 years fixed associated with typical conventional bank financing. This program typically sells itself–the major thing to know about it is that any commercial bank can utilize the program, but only the banks that utilize it often are proficient at getting the loan closed. 21st is proud of its success with this program and would be happy to show you how you can benefit if you are a business that is renting presently or one that is looking to expand its current real estate or real estate holdings. 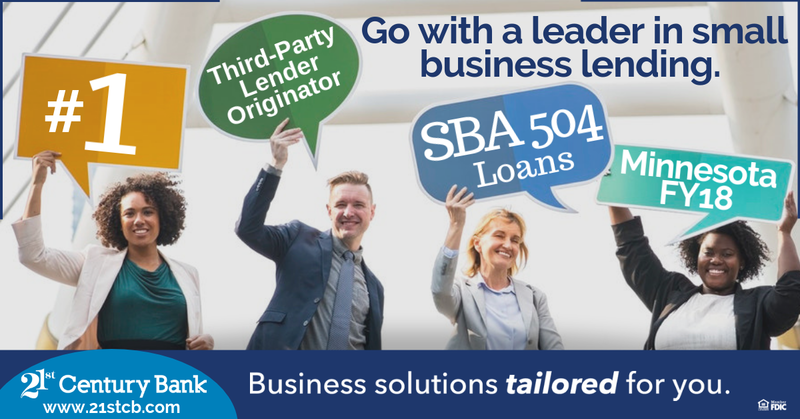 We invite you to contact one of our commercial lenders today to discuss your business & determine if leveraging the benefits of the SBA 504 program will help you reach your goals. More information on Small Business Administration.